Spider-Man was one of the best E3 games and could be one of the best of this year, here's why Neal can't wait to get playing this Spidey game! We saw some amazing footage of Spider-Man PS4 at E3 2018 and before then too. It’s no secret this game was looking good, but after what we’ve seen recently I can’t wait to play what’s known as Spider-Man PS4. I really believe Insomniac have a GOTY contender here. Seeing the villains all together including Electro, Rhino, Scorpion and more, I just want to play it. This new Spider-Man adventure is coming exclusively to PS4 and will be available on September 4, 2018. 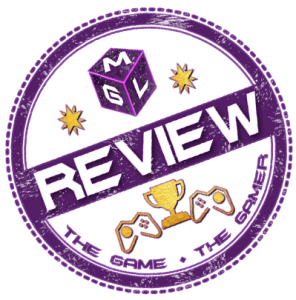 Below find out why I think this could be one of the best Spidey games we’ve ever seen below. Plus, this article includes videos, images and some information on the game you might find useful! Why the focus on Spider-Man? We all picked our favourite Games of E3 2018 (awards here) and this was one of my choices. in the first trailer of Spider-man, we saw Mr Negative, who isn’t the biggest named villain in the webheads gallery of villainy. This isn’t such a bad thing though, Mr Negative is pretty new-school in terms of Spider-Man villains so it was a nice step away from things we’ve seen in games like this before. But then E3 blew my geeky mind! We saw Electro, Rhino, Vulture, Scorpion and Mr Negative all team-up to take on Spidey, before the cliffhanger of “you?”. Who is this you? Well, Insomniac did not reveal anything about it. And nor should they. One thing is clear, we will see a sinister six in this game. Plus we also saw Shocker in an open world demo where you get to battle him. 7 villains, one spider. will there be more? Venom? Doc Ock? Goblin? Kraven? Seems like Spider-Man might be needing some back-up, might we also see some supporting characters to match up with the villains? If you have played any Spider-man game you will know that moving around the city is either the games best feature or its worst. There is something about web-slinging that feels special, and you want that reflecting in the game. Especially one made by such a talented developer. Looking back at the classic Spider-man 2 on the original Xbox and PlayStation 2, the web swinging was near as perfect, putting a focus on momentum and transition. It’s actually crazy to say a game of two generations ago is the benchmark for this. The Spider-Man 3 game (which is better than the movie, not that it was a difficult achievement) has decent web swinging. But games like Friend or Foe, Shattered Dimensions and Edge of Time, all made for awkward web control, so it is important to have this function down. From the gameplay footage we have seen, it looks both fluid and responsive. Plus, looking at the fluidity of Sunset Overdrive and the outstanding Ratchet and Clank produced by Insomniac games. I’m sure this is going to be nothing short of spectacular. Over the years many of the Spider-Man games have used this format and even evolved it. Then again, some games have come along and taken it backwards. Truth be told, Activision never really game any Spider-Man game open world team it deserved. In this new adventure, you are taking on an open Manhattan developed by masters of the sandbox genre. Surely this is only going to be amazing? Well so far, it certainly looks it and it’s been made very clear we only know a small amount of what’s to come. If you missed it there are all kinds of open-world activities revealed so far. This includes an actual living city with people that react to you as you get onto the ground. People high-five you and ask for pictures which is some seriously detailed but welcome actions. The big one for me is the dynamic crime feature they have spoken about. As you swing around things will happen to distract you and drag you into small side-quests. Something I love in open world games. Oh, you have got to love an origin story. Except when it’s been done so many times you can’t handle it anymore. Too many movies have handled the creation of Spider-Man with Peter Parker anyway, it’s good we are going into this one experienced. Although, are we going to see Miles Morales take ove at some point? This question is not being answered… yet! What is sure about Spider-Man PS4 however, is that we’ll see an older, established Spidey. I am excited to see this, and what it means for the gameplay. There are obvious connections to the Batman Arkham games given the similar styles. After all, it does make sense and in those games, you did feel like the Dark Knight. The Fact is, here we are going to feel like Spider-Man with gadgets and abilities that should make you feel pretty tough even early on in the game. Plus, it’s interesting as it could lead to a new take on old stories, or a look back on past events. Either way, I can’t wait to see what an experienced Spider-Man has to offer. We’ve seen a fair bit of the combat Spider-Man is going to offer. Previous clips have showcased some of the stealth. Others have been more set-pieces as you chase through the city after Mr Negative. This time around we got to see some more intense close combat battles inside the prison complex as you were chasing Electro. One thing that stands out about the combat is both the speed and agility of Spider-Man but also the environment. As you leap and flip around hitting enemies with your fists, kicks and webs you also smash them into things. Or, grab things and smash the goons with it. One other thing Insomniac is famous for is their gadgets in games. If you’ve never used a Groovitron grenade you really need to get a-hold of Ratchet and Clank, right now! This kin of inventiveness with experienced Spider-Man’s webbing also looks excellent. Speaking of looking excellent, here is another reason I want to play this game. The suits look amazing. Yes, the majority may be cosmetic, although I do hope traditional boosting suits affect your stats. Not only is the Venom suit amazing, is should be making you stronger! Saying that, I really like the new Spidey costume for this game, it’s bright and vibrant and cool. You can also get a preorder bonus with the game which includes 3 other costumes, I assume this means more will be coming at some point. One of those costumes is the iron spider suit from infinity war. Personally, I want the homecoming suit and the vigilante/homemade homecoming suit, which I assume will be available. While I do like the suits, I hope the majority of them are NOT behind a paywall. And, if they are paid for there is no stat-boost you can’t earn in the game. Get that right and I’ll be very happy. Will you be getting Spider-Man? Since you are here, did you like Spider-Man at E3? If so let me know if you are going to be getting it when it comes out! A simple, “Yes” or “No” in the comments below would be awesome.